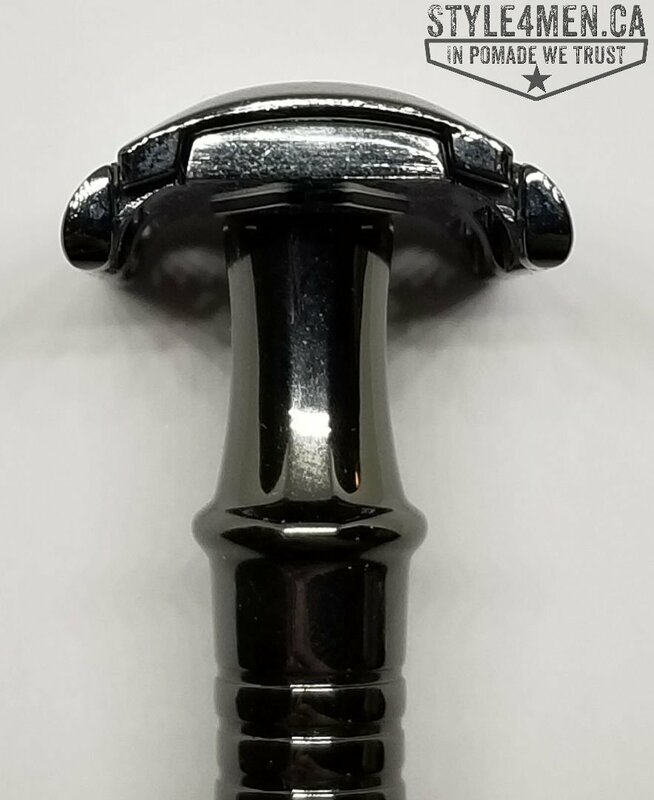 Although the men’s grooming industry has been doing extremely well, it is not every day that a new safety razor hits the street. Yes, there certainly are many more than a few years back but it’s still not a scenario of non-stop abundance. In that light, I was thrilled to come across the double edge safety razor from the folks at NOVIA. NOVIA is an American enterprise that is using Amazon for its store front. Being an avid on-line shopper, I have nothing but good things to say about my shopping experiences with Amazon. Pricing, speed of delivery, returns and refunds have all been top notch. Shout out and thank you’s go out to Joe at NOVIA for making this review possible. Back to business! As you may have already seen in my little unboxing video on Instagram, you are not only getting a razor, but also a stand and a few blades. 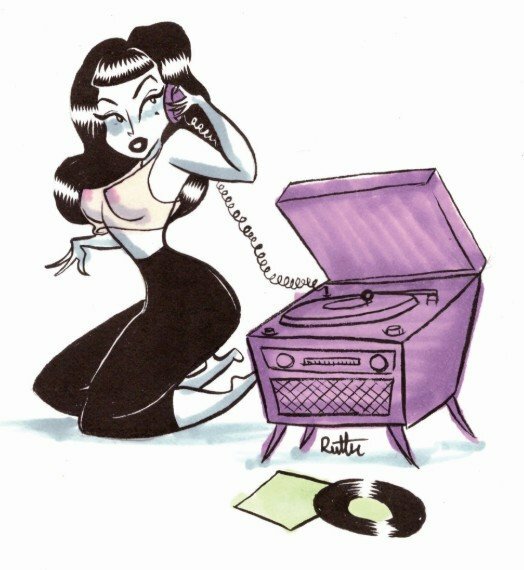 (You can see the unboxing at the bottom of this page.) Starting you off with a few blades is rather common, but getting a stand is not. In fact, in most cases that infamous stand is offered to the shopper as an add-on for a premium price. For this alone, NOVIA gets bonus points from us. Speaking of the price point, NOVIA has placed itself at $24 US on Amazon.com. When compared to other quality safety razors this is on the inexpensive side of the scale. I say quality razors, because the presentation and craftsmanship are indicative of that qualifier. 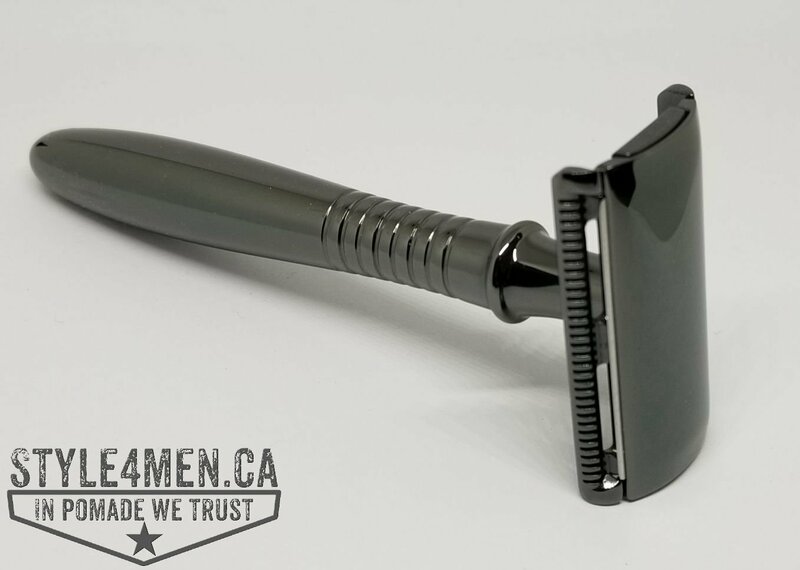 The razor is flat out gorgeous in its black gun metal finish. There are no rough edges and the finishing on this tool is impeccable. 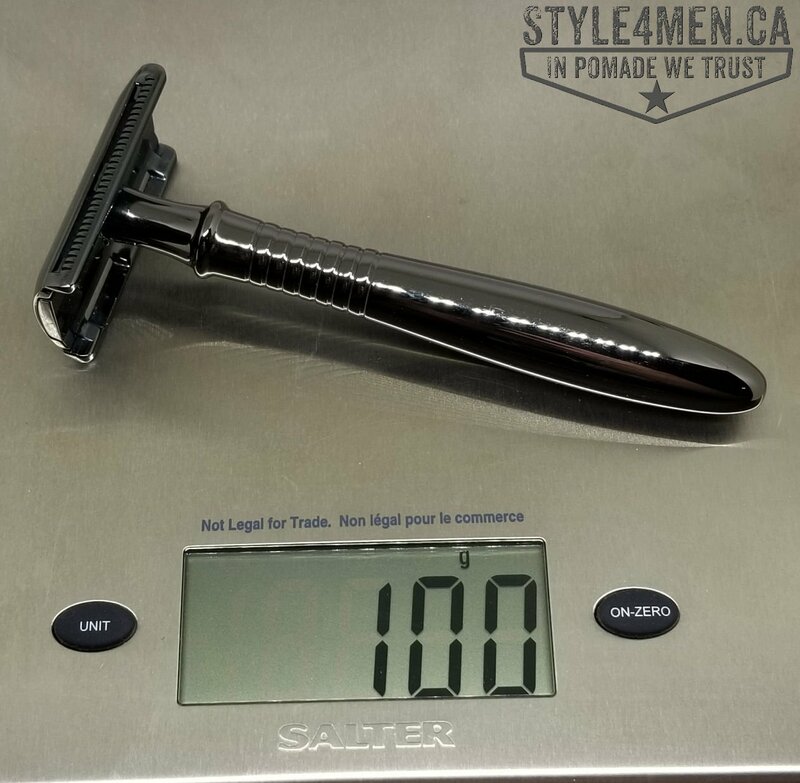 The razor weighs in at 100 gr which is what you want. 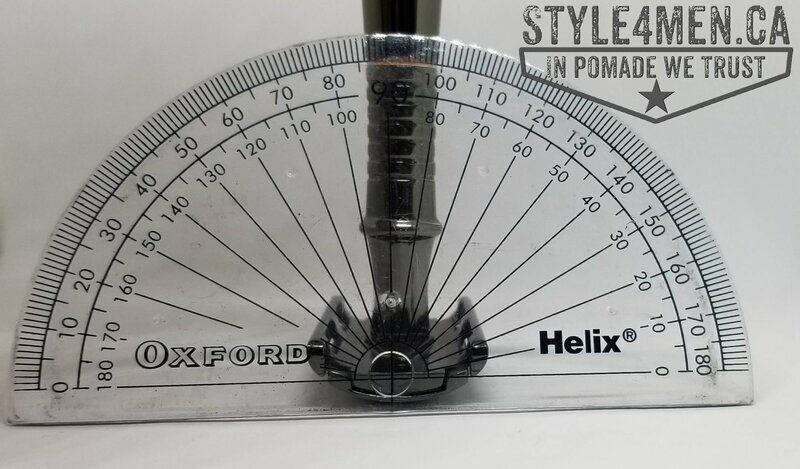 You can see it on Mrs. Style4men very scientific kitchen scale. 🙂 The heavier the razor the better. In simple terms, when shaving you want the weight of the razor to make a natural pressure on your face as opposed to applying pressure which could lead to unpleasantaries. The handle has a nice oval shape making it comfortable in the hand as well as having a smoothly ridged top portion for your fingers. For my taste, this handle is very nice. These are all traits you would find in a more expensive razor. The head of the razor is a little different than what I have gotten myself use to as I usually shave with either a MERKUR or a ROCKWELL, but it is not an unfamiliar design. The top and base plates are very thin with a clear curve. From my shaving experience, the more curve there is, the smoother the shave. Usually, this also works best for daily shavers where you are staying on top of the beard growth. If you are shaving every 4-5 days, you typically need a more aggressive inclination. 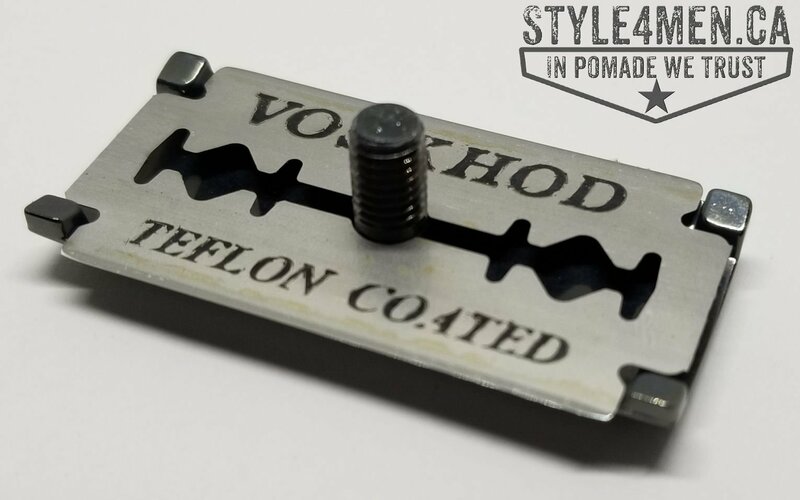 I found that the slanted razor heads work very well for those shaves. In the above picture, you can see that the blade is secured in place by block corners as opposed to the classic left and right pods along side the center stem. For my first shave with the NOVIA razor I am keeping things simple and using products that have rendered constant positive results. The Proraso suite of products have always rendered beautiful results and it’s a line I trust and enjoy for its consistency. The job at hand was an excessively long beard (some 7 days of growth). In my case this was something like 1cm. This being the case there are a few things we must accept right up front. 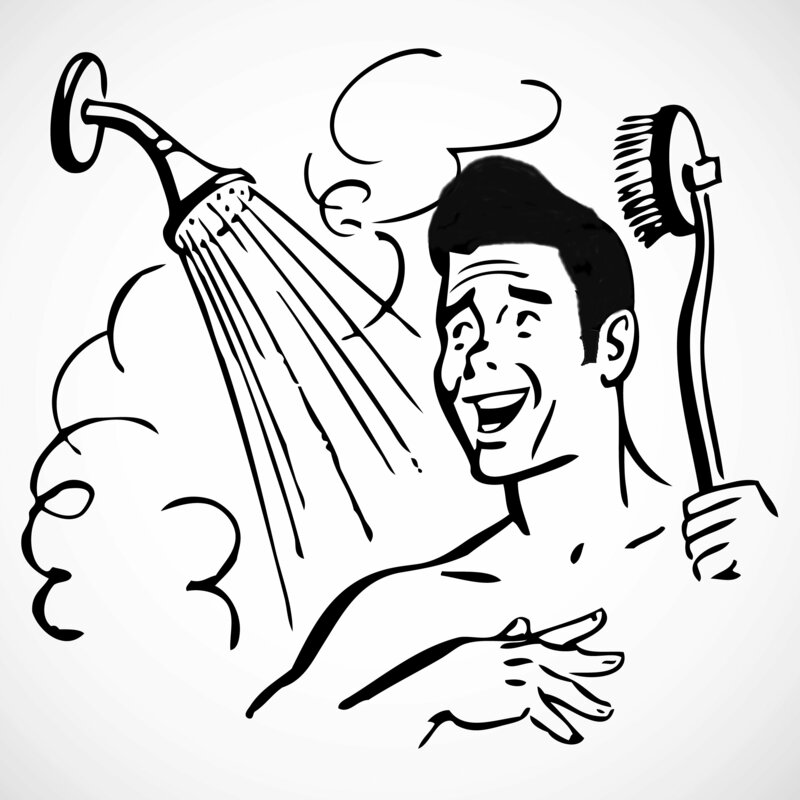 For example, that the razor will fill up incredibly fast and will require serious and regular rinsing. I covered up with the PRORASO pre-shave (white) and then the PRORASO foam (white). The pre-shave is a game changer in wet shaving as it prepares the terrain by smoothing the beard and the skin. The foam adheres well on the pre-shave and there is nothing to be concerned about. Both products offer and incredible insulation. The foam alone does not offer the best of lubrication but when combined with the pre-shave, the blade glides nicely. So here we go! On contact I noticed that this slimmer head offered something more along the lines of a straight razor shave. The head being lighter and thinner, it feels like you are working directly with the blade, which is quite interesting. Obviously, it also means that you have to be a little more careful. That said, I did not feel like I working without a net or any protection. I was tackling my mug at perhaps a 35 or 40 degree angle and I was pleased to see how efficient each pass was. As mentioned above, this was a good beard to shave off and the razor filled up quickly, but it was a very pleasant shave. I was initially a little apprehensive that the very smooth finish of the handle would turn out to be quite slippery in my wet digits, but no. It remained secure and easy to control. In my humble opinion the most important feature of a razor is its shaving angle and blade exposure. On the NOVIA razor the blade exposure is very limited. Something comparable to plate No. 2 of the Rockwell adjustable razor. The blade curvature is also comparable to one of my favorite razors the MERKUR 180. The right blade exposure and curvature is key for the type of shaver you are. My very inaccurate picture below would indicate that the curvature is something along the lines of 20 degrees. Normally, I am a daily shaver so a mild combination of these elements is perfect. It is important to note that I did two shaves. The first shave was to remove the beard. The second was to give myself a proper close shave. The NOVIA razor fit my face very well, was easy to manoeuver and was comfortable to work with. This is a razor that will please both the novice and the experience wet shaver. 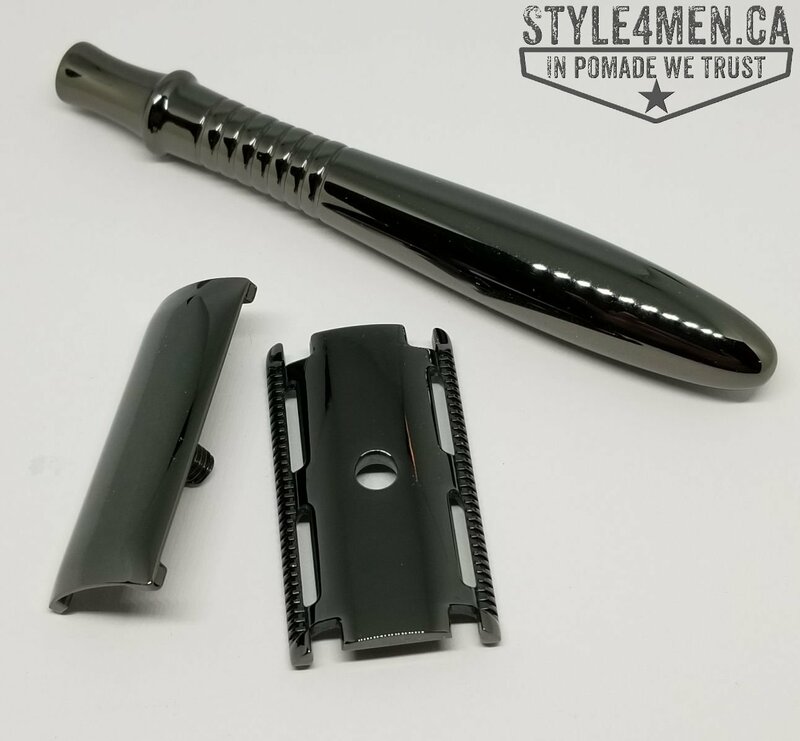 The novice will not be overwhelmed by an aggressive blade exposure and the experience wet shave will enjoy the head casing offering a near straight razor blade shave. The handle is another very important element in choosing a razor – the heavy body of the NOVIA makes it an instant favorite for your cabinet. In closing, I was thoroughly impressed by the features of this razor along with the included stand. Don’t let yourself be fooled by the price point, this is a not a “cheapee” razor that will disappoint in 2 months; it’s a proper player.